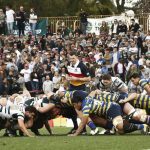 They’re one of Australian rugby’s proudest and most illustrious clubs, situated in what can only be described as a rugby heartland but for the past few year’s Gordon’s grade program has been anything but. 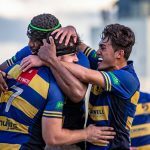 In 2018, Gordon’s first grade side claimed just one victory and leaked on average over 50 points a week. Fortunately though, it hasn’t been all bad news at Chatswood. The Stag’s colts program has thrived of late and last year they featured in all three colts grand finals. 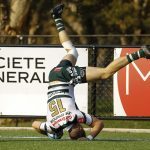 The club, who last won a Shute Shield premiership in 1998, pushed all its resources into colts and while Gordon’s younger sides improved quickly, their grade program hit rock bottom in 2018. To turn things around, they recruited Warringah premiership winning coach Darren Coleman, fresh off leading the Rats to two straight grand finals. From all reports, Coleman has made an immediate impact. “There’s definitely a very different feel to the place this year,” Gordon flanker Jack Margin told Rugby News. 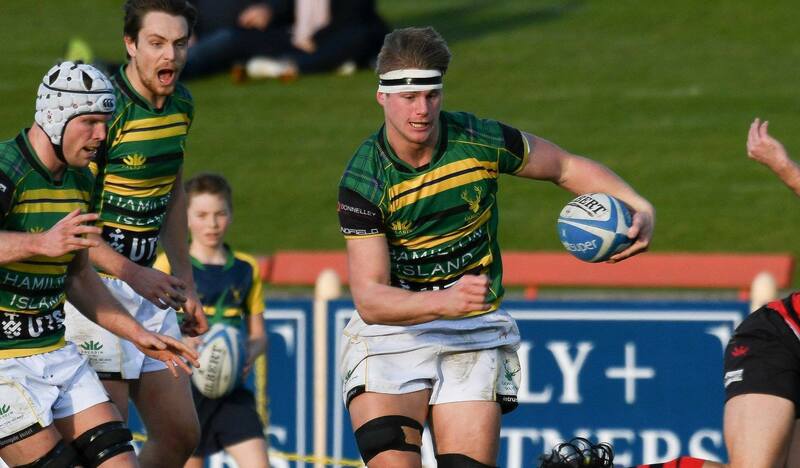 Margin joined a struggling Gordon colts program in 2014 and while things started to improve under David Telfer a year later, the flanker moved into grade in 2016. “It’s been a rocky few years. As a club, we don’t have any excuses to not be successful. We’ve got great juniors and a lot of strong rugby schools in our catchment area,” he said. “But we just lost too many of our local juniors to other clubs like Uni and Randwick. That started to change when David Telfer took over the colts and I think now we’re starting to see more and more players from the North Shore and even the Central Coast choose Gordon as their first choice club. Margin said the majority of players are in the best shape of their lives after a testing preseason under Coleman. “There’s been a lot of running, that’s for sure. But I think more importantly, DC has been really good at managing players injuries, which is an area we’ve struggled with in the past. Coleman has recruited heavily over summer. He targeted local juniors playing at rival clubs, then added some experience to the top grade squad. Margin said he expected a number of new and returning faces to impress this year. “Jack Macguire and Jordy Goddard have both been carrying foot injuries for the last few seasons. They’re two of the guys that are fit and healthy for the first time in a while and have looked really good in the trials. “Of the new guys, Brendan Mitchell has come down from Queensland, he’s been really competitive through preseason. After a long summer of running, Margin said Gordon will be a lot fitter than they have been in recent years and said we can expect to see a good mix of fast and smart rugby. But most importantly, the flanker said his side will play out the 80 minutes each week. “Finals are obviously the goal but first and foremost we want to make sure we remain competitive in every game, that’s the main goal,” Margin said. “DC has spoken all preseason about having a no quit attitude and that’s something everyone has bought into. Up first, Gordon take on Southern Districts at Chatswood Oval with a strong crowd expected to turn out to get a glimpse of the new look Stags. 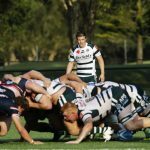 “Its going to be a very big battle up front, they’ve got one of the bigger forward packs in the Shute Shield. Then they’ve got some very good centres and some talented outside backs,” he said.